Newly named Cardinal starting quarterback, Josh Rosen, will look to lead Arizona to not only their first win of the short season, but their first win against the Seahawks in Glendale since 2012, Russell Wilson’s first career start. With possibly a very winnable game on the horizon next week in San Francisco, since their ‘franchise’ QB Jimmy Garoppolo will miss the remainder of the season with a torn ACL, Rosen will look to breathe life back into a team and fan base that has been full of doom and gloom up to this point. He’s going to need help though. Another week goes by and another week where the Cardinals don’t try to better one of the worst spots on the roster. Only three wide receivers have catches through the first three weeks of the season, Larry Fitzgerald (12), Christian Kirk (12) and Chad Williams (1). Whether it was because of Sam Bradford or the lack of talent/depth behind the first two wide-outs, it’s clear that the Cardinals need everyone around Rosen to up their production and effectiveness. 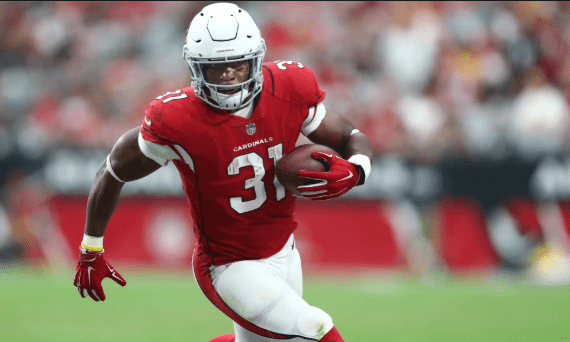 To make matters worse, the franchises all-time winningest coach in Bruce Arians came out unprompted on a podcast this week and criticized the new coaching staff and their usage of star running back, David Johnson. Arians drafted Johnson in the third round of the 2015 draft. In 2016, David ended up accruing 2,118 total yards from scrimmage and finished with 879 receiving yards on 80 receptions before missing all but 2 quarters of play in 2017. Johnson’s usage has been a major point of controversy during Arizona’s 0-3 start to the season. He was removed from the game prior to an important third-and-short situation late in Arizona’s Week 3 loss to the Bears. David Johnson came out and said he wasn’t in there in favor of rookie Chase Edmonds, because of a failed pass blocking assignment on the previous play. Through three games this season, Johnson has 63 total receiving yards. Last season in the two quarters that he played during the first game of the season, he accumulated 68 receiving yards. Whatever the case may be, offensive coordinator Mike McCoy needs to do a better job of putting his best players in the best position for them to succeed, especially with a rookie quarterback making his first career start. Today would be a good day for a David Johnson esque game from the Cardinals star running back. The hope is that McCoy will finally put him in a good position to have just that and that Rosen will come out firing on all cylinders so that the defense can’t stack the box like they were doing against Bradford. Rosen was selected by the Cardinals with the No. 10 overall pick in the 2018 NFL draft from UCLA. The 21-year-old set UCLA’s single-season record with 3,756 passing yards last year. He went 16-of-29 for 148 yards and one touchdown during the preseason.